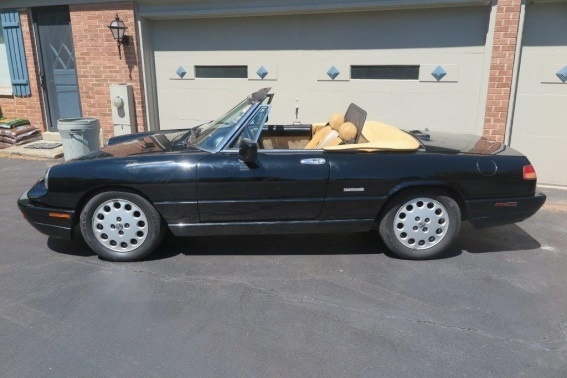 Have you driven a 1993 Alfa Romeo Spider? Displaying all 2 1993 Alfa Romeo Spider reviews. A Perfect Car For Speed-lovers Who Are High On Cash! — The 1993 Alfa Romeo is a powerful yet beautiful car which is the dream of any car lover.It may be old but it can get any man crazy about it!It is quite expensive to maintain so you should be rich to have it. Top down alfresco...throaty Alfa powerplant...sea breeze tossling her blonde hair...cliffs and blue water below...California sky above...chirp from the Pirelli's going from 3rd to 4th...double clutch onto the Pacific Coast Hwy - 101 baby...it's the Red Blur that sings "superleggera"...tutta bene, grazie!!! "Owning an Alfa Romeo is like loving an Italian woman -- pay a little attention each day, attend to her needs in a special way, enjoy her personality...and she will treat you like no other woman in the world. BUT...neglect her for several weeks, and she will leave you in the street crying...literally." ~ Old Alfa Owner "when I back out of the garage each morning, before I close the door, I check the floor of the garage. If there is not at least one or two drops of fresh oil...it means the Alfa is empty." ~ my experience as an Alfisti Perfomance - the car is so light that 140 BHP is plenty to get you low level flight. Build Quality - nothing you wouldn't expect from a small volume, largely hand built vehicle which is a 15 yr old daily driver. Never broken down and left me stranded...starts and revs every morning. With care, this has been every bit as reliable as the four Hondas, two Mitsubishis, and two Nissans I've owned. Appearance - it's a classic which has oft been imitated but never really duplicated...washed and waxed it looks like skin stretched over pure energy. 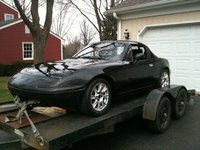 Cost of Owning - 29-30 MPG and less than $500/year to maintain. Her engine take 7 Qts of synthetic Castrol and runs sweet and sound. Fun Factor - it's the reason to really own an Alfa. It's better than a puppy at making friends out of strangers. Pros: It's a vehicle to express your heart...not an exacting machine with no soul. Cons: I want an 8C Competizone!